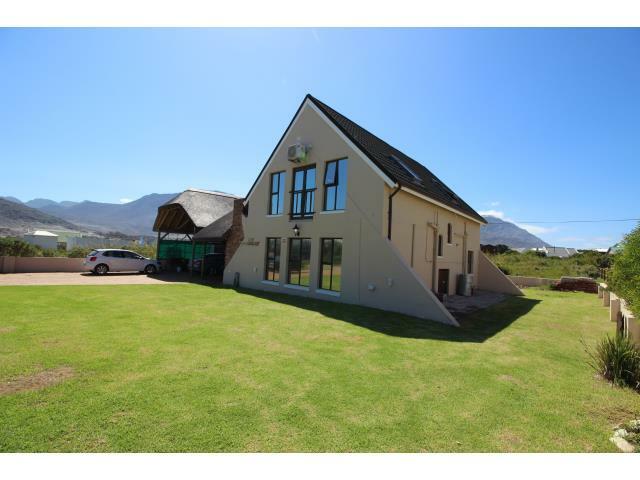 Located in walking distance to the beach on a tarred road; this unique looking double story home has 3 spacious bedrooms, 2.5 bathrooms with upgraded fittings. Master bedroom has a free standing Victorian bath with walk in shower. The room is well lit equipped with air-con and also a walk in cupboard. Open plan kitchen with granite counter tops, Smeg gas stove and pantry. Entertain like a king with the large braai room which is sheltered for all types of weather. This incredible home even comes equipped with a Jacuzzi and cozy central fireplace. Erf stand measures 720 square meters and has its own borehole point with pump. Complete security system installed inside with outside with beams. All windows are double glazed and best quality aluminium. Make an appointment to view this lovely home today!